For past few weeks, we are preparing "Salesforce Tool Suite" chrome extension for a major update, which was based on your feedback and some planned change. That major update got published today, to make sure you are on latest version, check for v0.6.3 in chrome settings. Ability to create/update/delete new TraceFlags or log settings for users, classes and triggers. 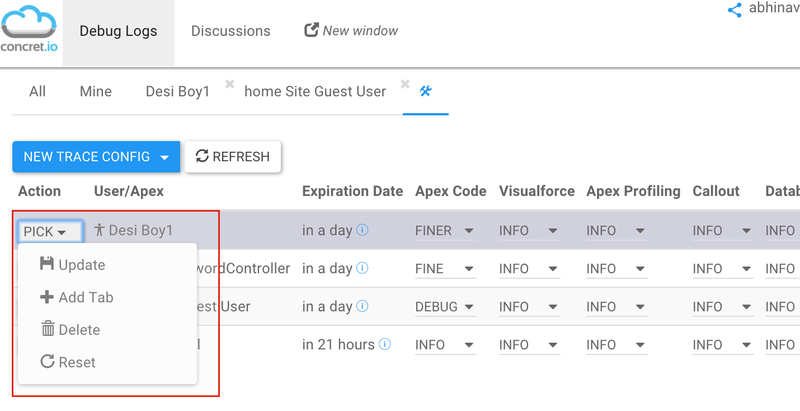 Watch logs not only for logged in user, but add any of sites, or other salesforce users. This helps a lot in watching out activity of other users quickly. These tab settings are remembered, visiting the extension next time shows the same tabs. Fixed multiple scrollbar issue coming on Windows installations. Increase horizontal space on page, by removing multiple buttons into drop-downs at various sections of the page. If you prefer a video walk thru, here is a video covering new features. If you haven't tried it already, we love to hear your feedback on the same, please get it on your chrome from here.